Welcome ! Since 1977, Amelia Island Foot and Ankle has been working with patients to provide the best podiatric care for Fernandina Beach, Amelia Island, Yulee, and southern Georgia. 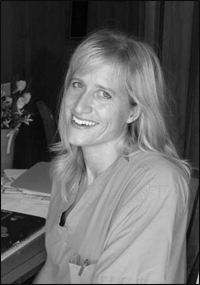 Dr. Joy Anderson brings with her a wealth of knowledge and experience. She has a special interest in Diabetic Wound Care and sports injuries, but also covers all apsects of the feet and legs. Dr. Anderson and the entire staff has genuine concern for their patients. We are dedicated to your comfort and improving your quality of life as quickly as possible. Our goal is to help you maintain your foot and ankle health. Our web site provides you with background about our physicians, staff, office hours, insurance policies, appointment procedures, maps, directions to our office in Fernandina Beach and other useful information. We know how hectic life can be and we are committed to making our practice convenient and accessible. And we want you to feel confident that when you choose Amelia Island Foot and Ankle, you’re working with doctors and other professionals who are qualified, experienced and caring. Amelia Island Foot and Ankle believes that informed patients are better prepared to make decisions regarding their health and well being. That is why we’ve included an extensive section on this web site covering the full array of topics associated with podiatry and podiatric diagnoses and treatments. We encourage you to look through these pages whenever you have an interest or concern about your foot or ankle heath. The best care in the world doesn’t mean anything if you can’t access it. At Amelia Island Foot and Ankle, convenience is important and our office is located just outside of the Historic District of Fernandina Beach at the corner of 14th street and Atlantic Ave. We offer off street parking for our patients.